WW2 Timeline Dec 1942: A collection of World War 2 letters. "On the move, about to be sent abroad"
A total of 468 pages are available to view. 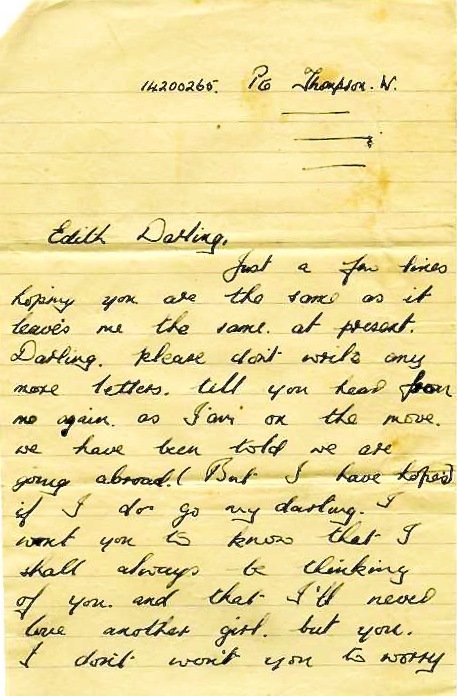 All images have been scanned from the original letters. Viewing is recommended on a large screen. © 2015 Alan & Robert Thompson on behalf of William F G Thompson and Edith I Thompson.